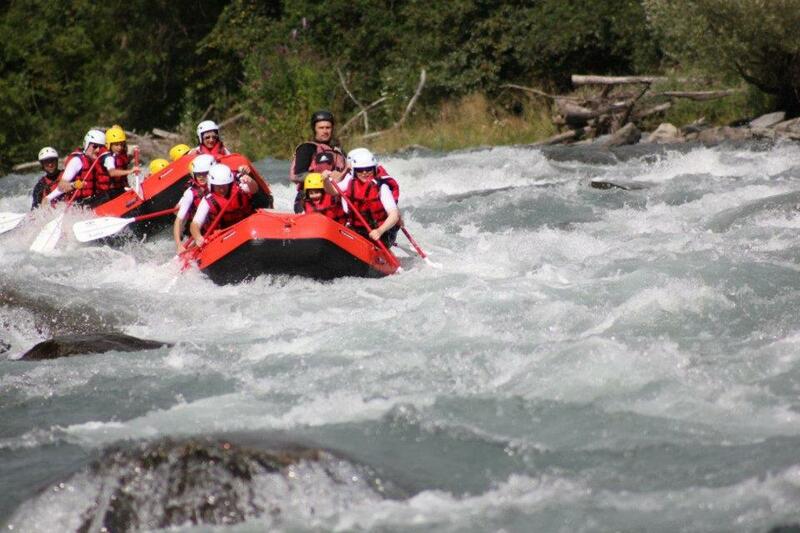 This course takes us from Bourg-Saint-Maurice to Gotthard along 9 kilometres of Class 2 (3) river. So, anyone can come along and discover the activity while having fun! 1h15 of paddling, waves, swimming, slides, and bumps!! 'Evolution' is a very appropriate name!! During our one-and-a-half hour descent, we build up to a crescendo – starting with Class 2 and finishing with Class 4. Plenty of time for the crew to prepare themselves for the rhythm, pace and wetness of the final stretch! From Bourg-Saint-Maurice to Aime. 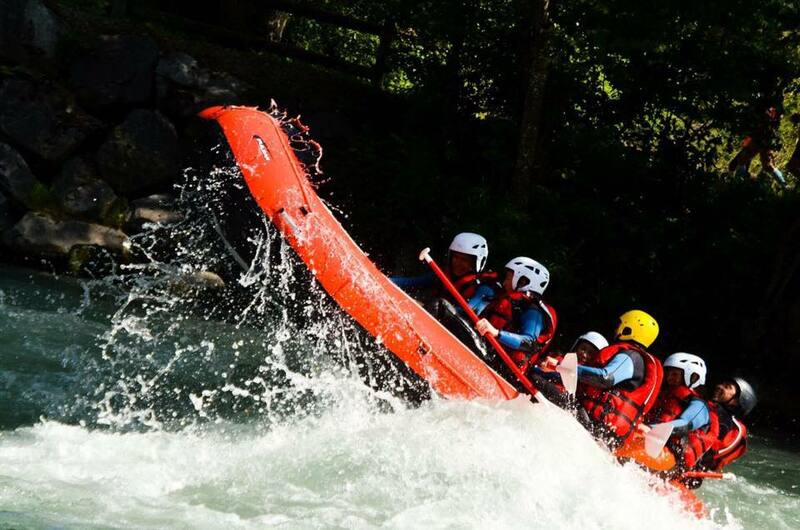 From the Rêve d'Eau Base to Centron – 1 hour and 45 minutes of concentrated, fast-paced, sporty descent through the most beautiful rapids on the Isère!! We go right back to the heart of the matter with the magnificent Aime rapids ... Class 2 to Class 4, featuring such legendary rapids as "la machine à couper le jambon" (the meat slicer) and "les moutons" (the sheep) ... plus geological curiosities like the Gorge of Centron ... waves, blocks, jumps, and some swimming: Thrills and spills guaranteed!! An experience not to be missed!! 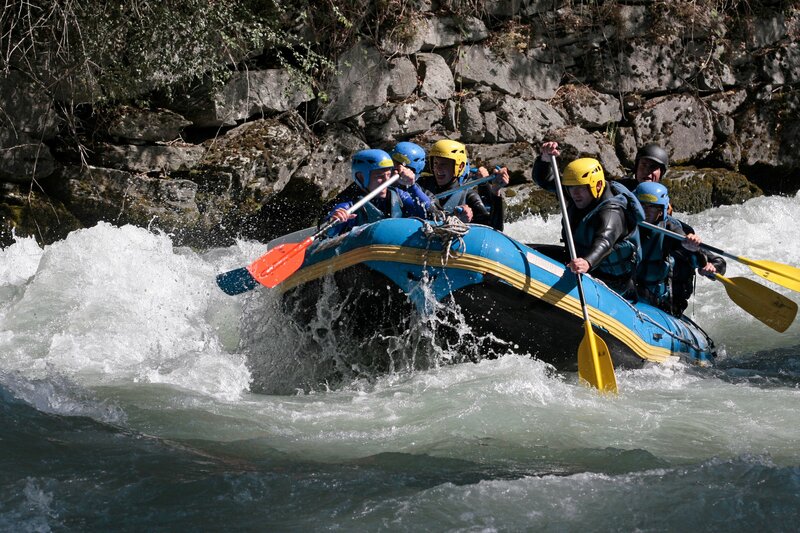 A great classic of the Alps, a very sporting course with rapids like "le velodrome" and "la piscine" (swimming pool). 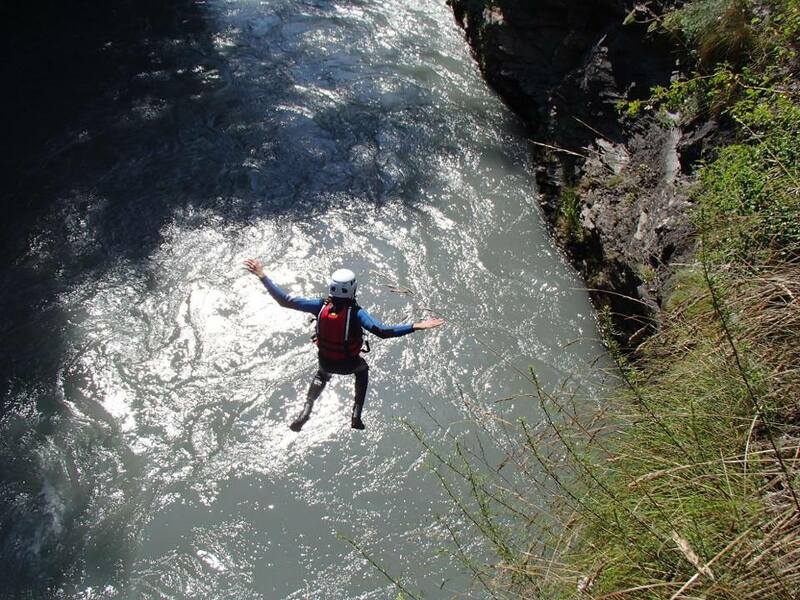 About 2:30-3:00 hours spent navigating two of the programme's beautiful rivers: the first descent on the Thrills Course (Isère) as a warm-up, and the second on the Doron for fun ... It rocks!! For the most motivated! Those who want everything in one go, this excursion is made for you: Three hours on the water! 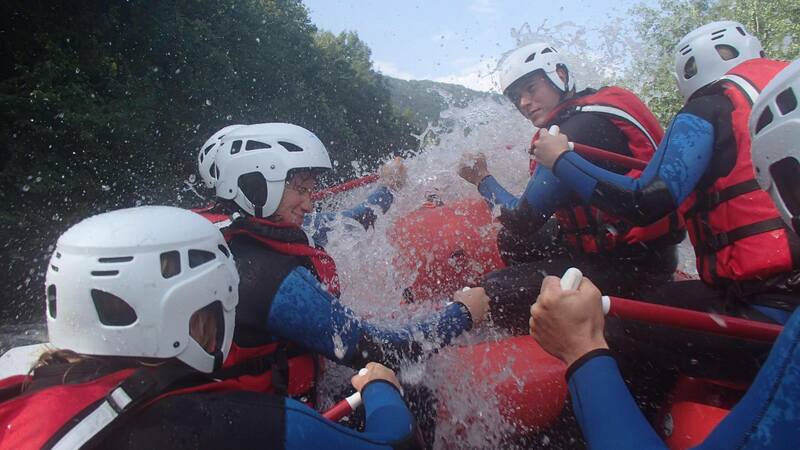 A Hydro baptism following in the wake of the rafting thrills course.